The Oklahoma law firm of Tisdal & O'Hara features a team of attorneys with more than 100 years of combined experience and a long record of positive results in the areas of energy law, personal injury, business law, estate law and family law. We handle cases in state and federal court, including the United States Supreme Court, on behalf of individuals and businesses in Oklahoma City and statewide, as well as out-of-state clients with legal matters in Oklahoma. When a legal matter touches your profession, your property or your pocketbook, Tisdal & O'Hara is here for you. We are committed to devoting the appropriate amount of time to every case we accept. When you work with us, regardless of the specific legal issue, you will find that we take great care to ensure that the legal strategy we create is aligned with your goals and that the steps we take will yield a positive result not only in the short-term but the long-term as well. You will work closely with your lawyer through all stages of your case. 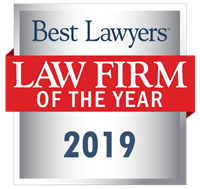 We are recognized in Oklahoma and nationwide for our groundbreaking results, our commitment to excellence and our involvement in the legal community. Our lawyers are frequent lecturers and have published many articles in legal journals. 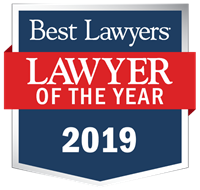 Our team members have received numerous honors and awards, including being listed in The Best Lawyers in America, being selected to Super Lawyers in a variety of categories and receiving the Lawyer of the Year Award for oil and gas law. Our team members have also held leadership positions in the Oklahoma Bar Association and other prominent legal organizations. Schedule a FREE initial consultation with one of our outstanding attorneys today.